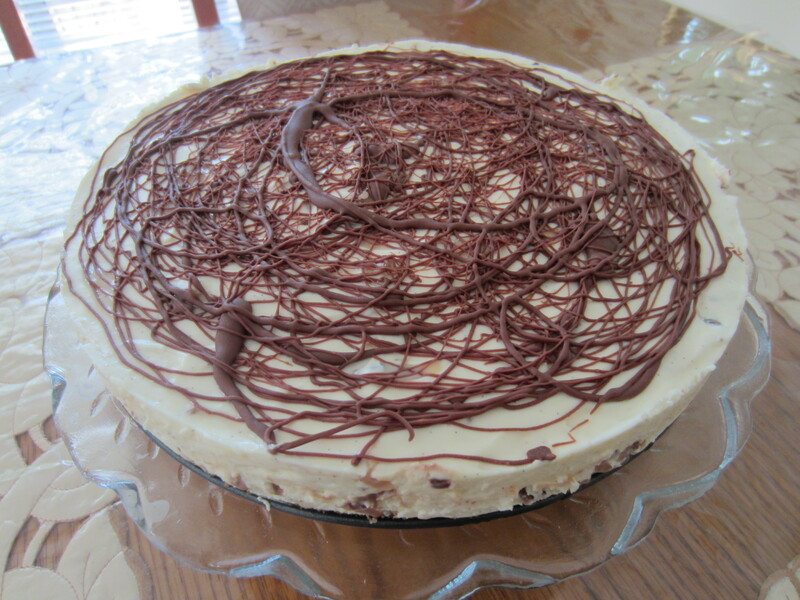 Whenever I need to make a dessert, cheesecake always seems to pop in my head, it’s just one of those obvious choices and oh boy can I indulge in a good couple of slices myself. 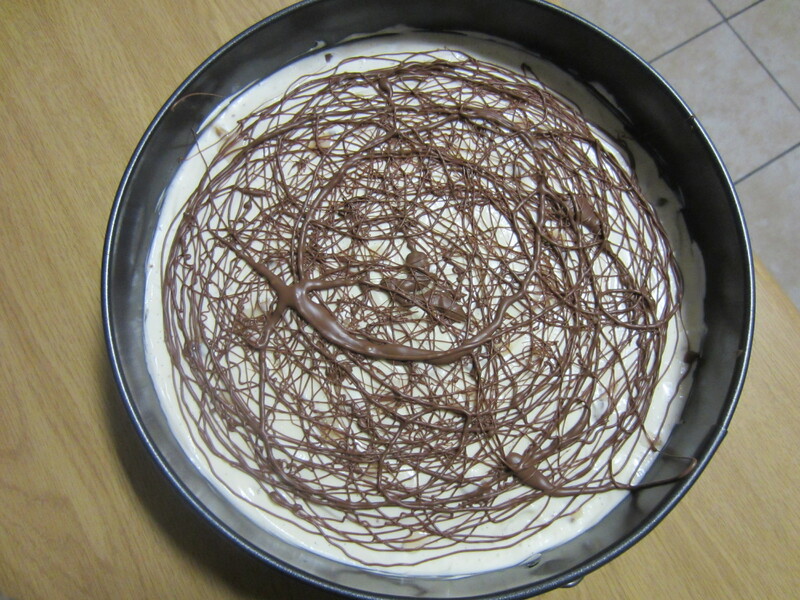 For Eid (which was a few weeks ago) I decided to be really nice, I mean REALLY nice and make a hazelnut cheesecake. Anyone who know’s me will know that I can’t stand, very closely bordering hate nuts! With my family being huge nutty fans and me depriving them of nuts in chocolate brownies, trifle and every dessert involving nuts, I thought I’d do a good lil deed and spoil them with the hazelnut cheesecake. What makes this recipe unique is the flavour the vanilla pods bring to this classic recipe. 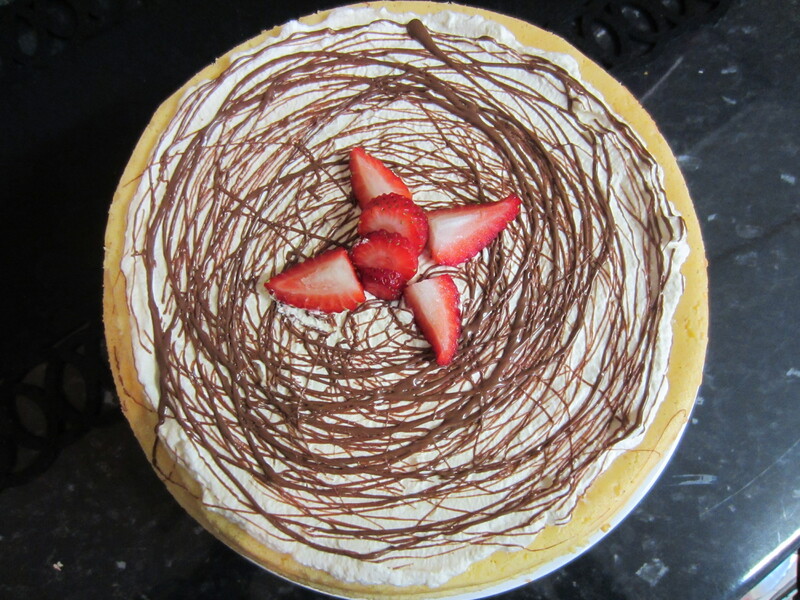 On that note, here comes the recipe…. 2. 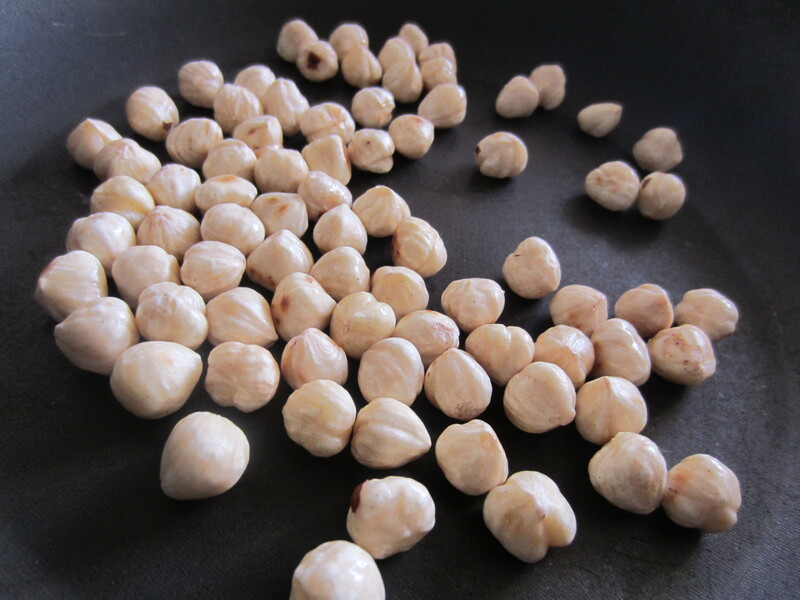 Break up the digestive biscuits and place them, with the hazelnuts, in a food processor fitted with a metal blade, or a liquidiser. 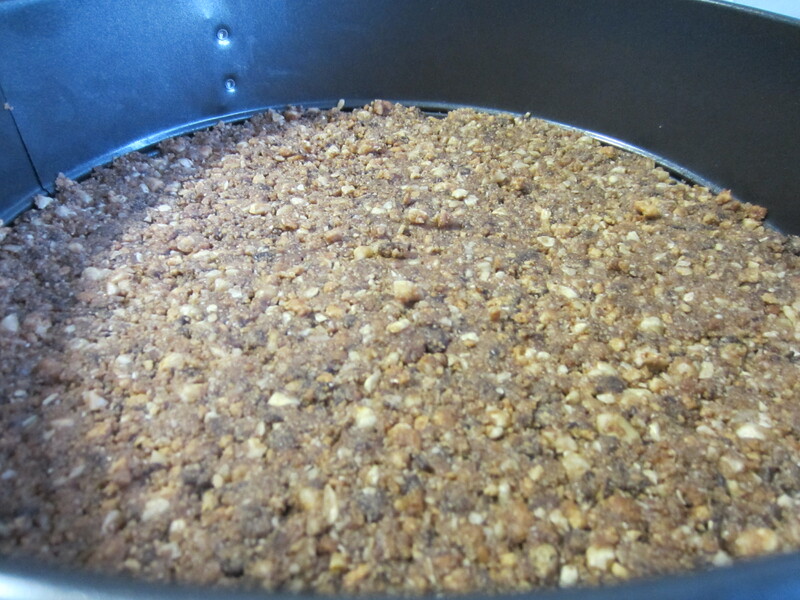 Process to coarse crumbs, but don’t over-process, which will make the chocolate sticky. Place in a bowl, add the soft butter and stir well to combine. 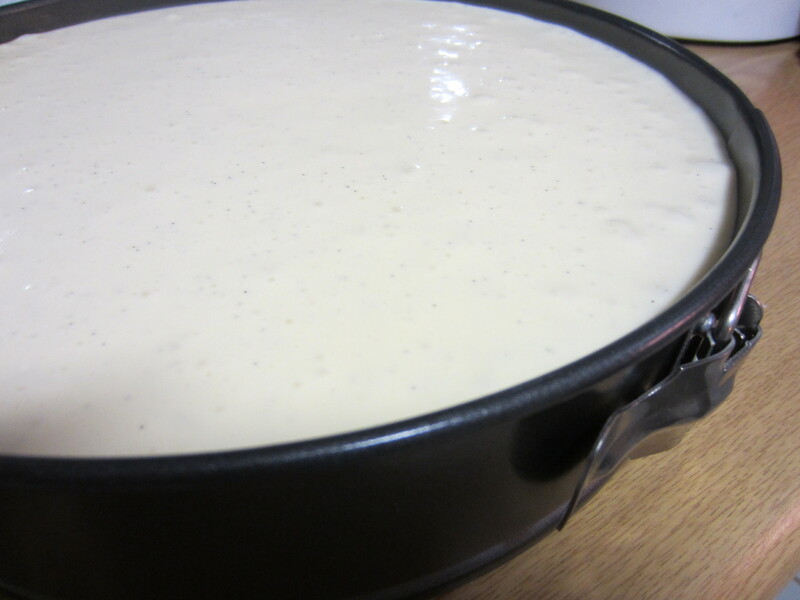 Press the mixture evenly onto the base of a non-stick 24-cm springform cake tin. 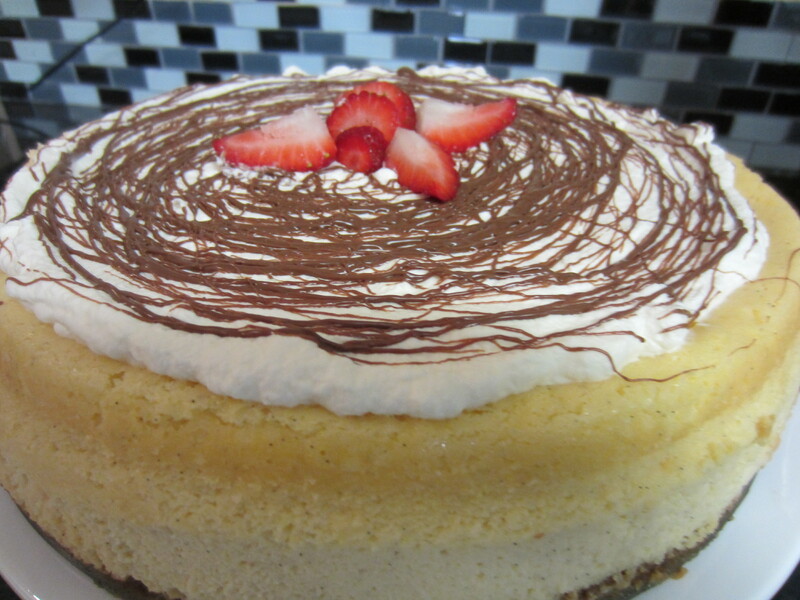 Place in the fridge while you make the topping. 3. Put the water in a little heat-proof bowl or ramekin and sprinkle the gelatine on top. Set aside for a few minutes, or until the gelatine has sponged. Put the bowl in a pot of simmering water (the water should come half-way up the sides) and stir occasionally as the gelatine melts. When the liquid is clear, remove the bowl from the hot water and set aside to cool for a few minutes. 4. 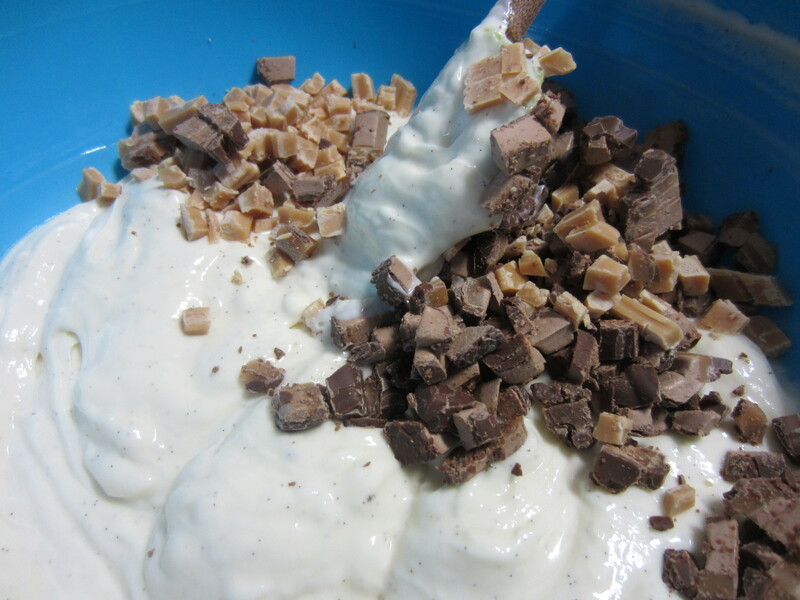 Combine the cream cheese, castor sugar and hazelnut syrup or extract (or whatever you choose to include, this is where I added the chopped up bar-one and caramel squares) in a large bowl, using a whisk or hand beater. 5. 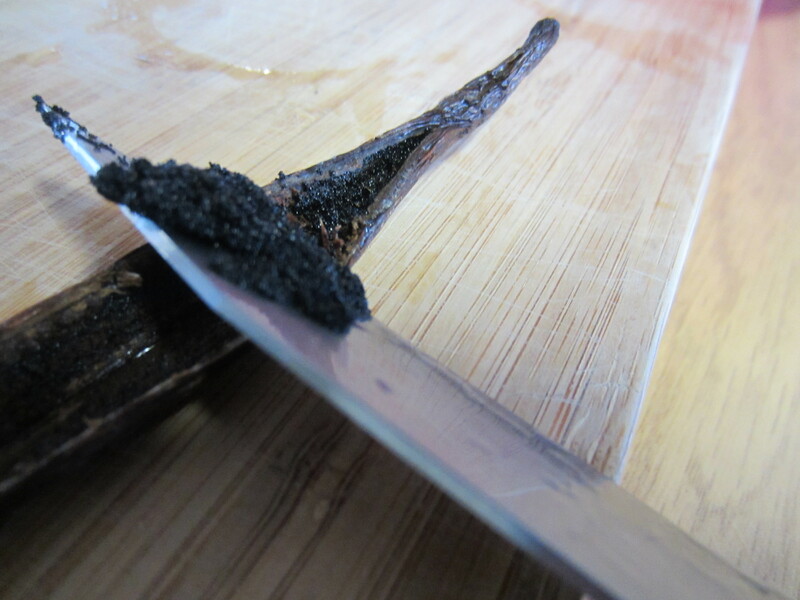 Cut the vanilla pod in half, scrape out the black seeds with the blade of a knife, and add to the mixture. Add the warm gelatine mixture and stir well to combine. 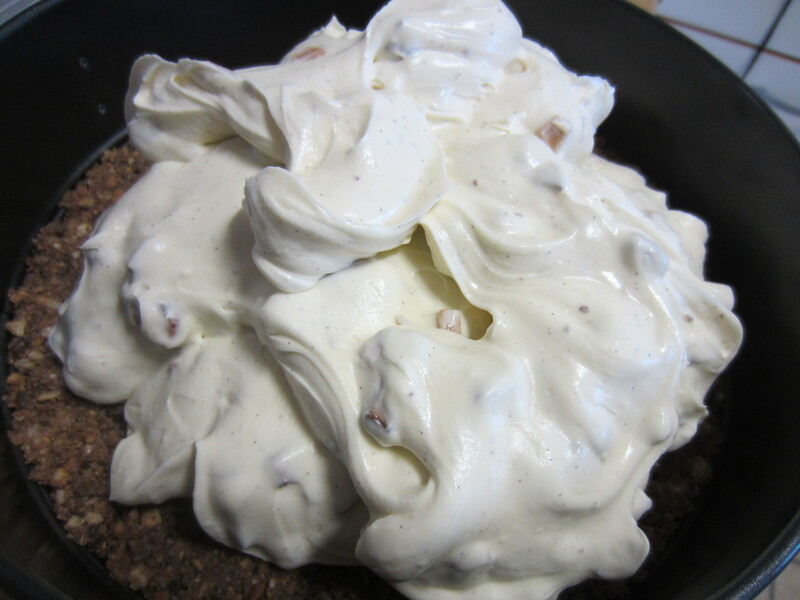 Whip the cream in a separate bowl until it forms soft peaks. 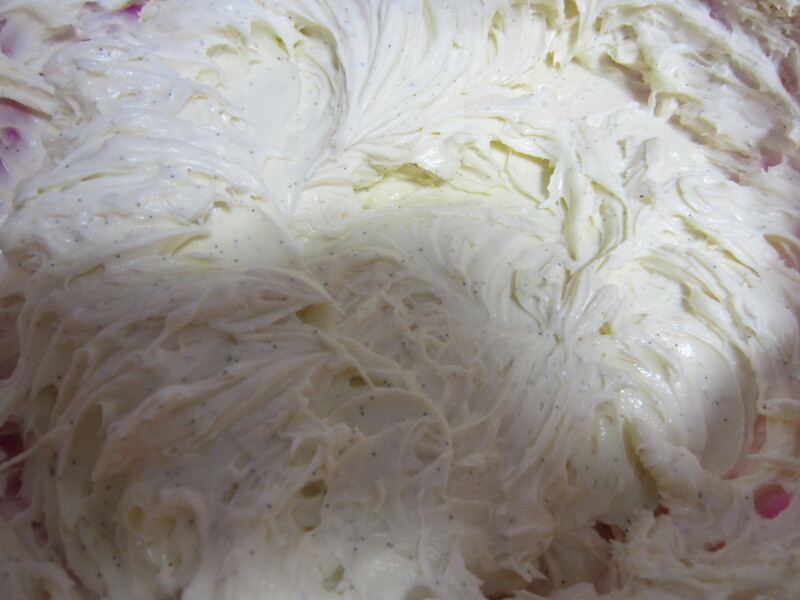 Fold half the cream into the cream cheese mixture, and then fold in the other half. 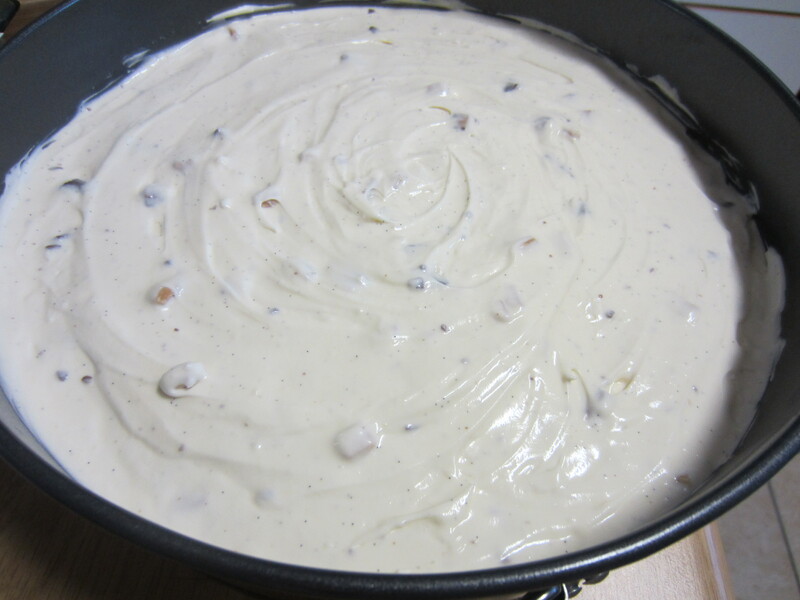 Pour the mixture into the cake tin and tap the tin gently on the countertop to release any bubbles. Place in the fridge for four hours to set. 6. 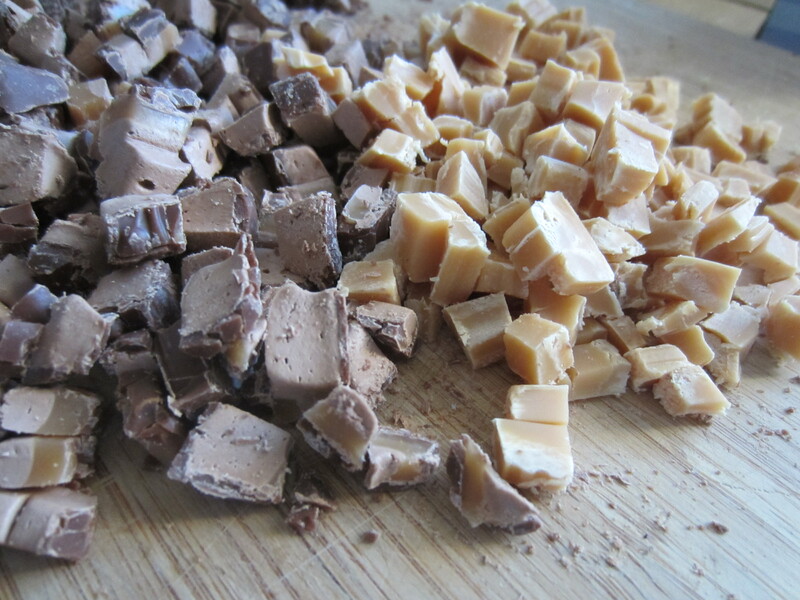 Melt the chocolate in a bowl set over a pan of simmering water. Place in a piping bag fitted with a fine nozzle. 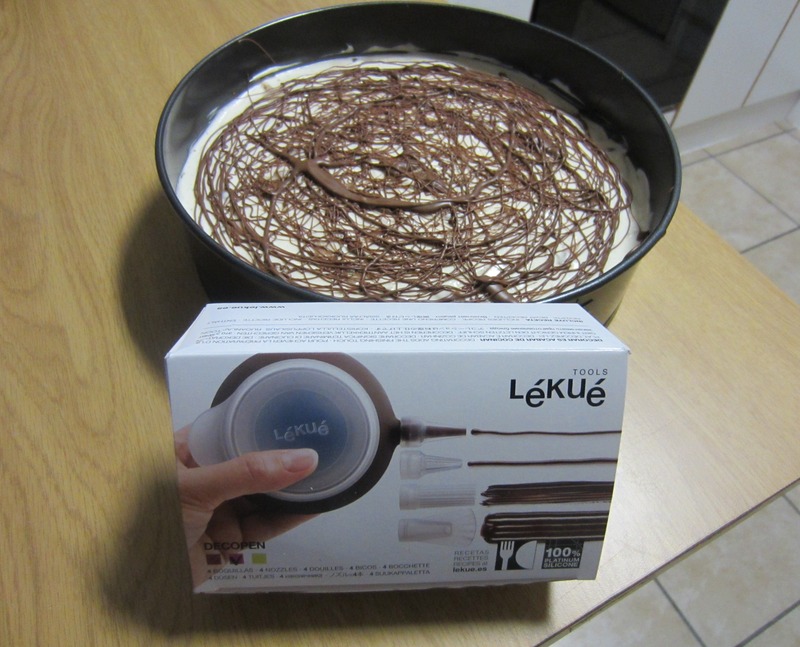 I used the Lekue Decorating Pen which you can purchase from Yuppiechef to scribble the chocolate all over the cake. Refrigerate for another 30 minutes, or until the chocolate is cold and set. 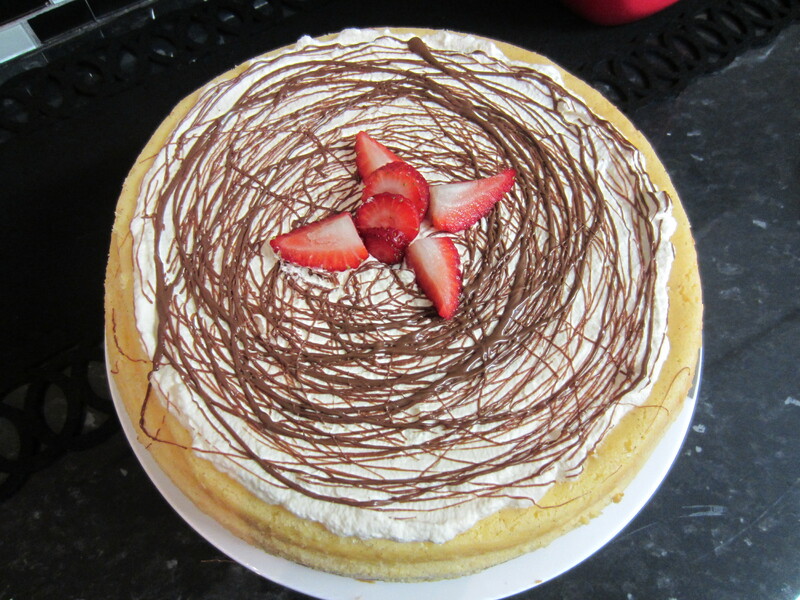 Release the cake from its tin and voila!